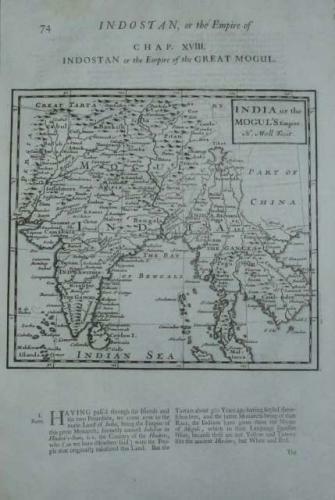 A highly detailed copper engraved religious map covering the Indian Subcontinent and Southeastern Asia. Map includes present-day India, Sri Lanka, Cambodia, Laos, Thailand, Tibet, Vietnam, Iraq, Iran, Pakistan, Hindoustan. Map gives details concerning placenames, rivers, mountains, islands. Title cartouche to top right quadrant. Condition: Very strong and dark impression on good paper. Uncolored as issued. Wide top and lower margins. Wide right lateral margin. Quite left lateral margin. Small foxing.